That's a very specific number, and if it sounds familiar, it should: 15 watts is the most common maximum input for the new quick charging standards in their various copyrighted incarnations, from Qualcomm, Samsung, ASUS, et cetera. (Newer versions of quick charging can accept more power, but 15-18 watts of input seems to be the de facto standard at the time being.) This isn't the first time that wireless charging throughput has been boosted, but it looks like the WPC is interested in an eventual wide rollout. In addition to the new Qi specification, the WPC also approved the test procedures and tools needed to verify that fast charging products are compliant with the new Qi specification, as well as being backward compatible with all existing Qi products. Right now the new spec is only available to Consortium members, and perhaps that's for the best. One thing that both wireless charging and quick charging have in common is a tendency to increase heat while in use - we can do some pretty cool stuff with modern tech, but thermodynamics is a hard thing to cheat. Presumably pumping 15 watts of power through transmitter and receiver coils would make both the charging pad and the phone heat up quite a bit, and excessive heat is bad for batteries, circuit boards, screens, and plastic - you know, all that stuff your phone is made from. PISCATAWAY, N.J., June 23, 2015 /PRNewswire/ -- The Wireless Power Consortium (WPC), the driving force and leader in the global adoption of wireless power technology, today announced that the latest version of the Qi specification now makes it possible to deliver 15 watts of power to mobile phones that support wireless fast charging. This Qi fast charging feature enhances the charging experience by decreasing the time required to wirelessly charge devices. Several manufacturers already offer wired fast charging for their devices, providing as much as 60 percent charge in as little as 30 minutes. 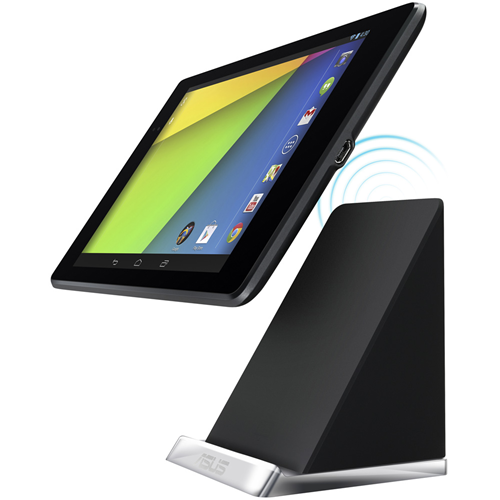 The latest Qi specification empowers them to extend this speed to wireless charging as well. Once again this is a first in wireless charging, creating more choice for consumers in the eco system of Qi-compatible products, an ecosystem that already offers the largest choice in wireless chargers, addressing the many different needs of consumers at home and on the move. "With a deployed base of well over 50 million units, hundreds of registered products and users all around the world, we understand the importance of a specification that supports innovation," said Menno Treffers, chairman of the WPC. "This release marks an important milestone for Qi, introducing the first higher power class and paving the way for our members to address more demanding applications with products that work seamlessly with the installed base of Qi-compatible products." The new specification is initially available only for members of the Wireless Power Consortium. It will be made available as a public document at a later date.